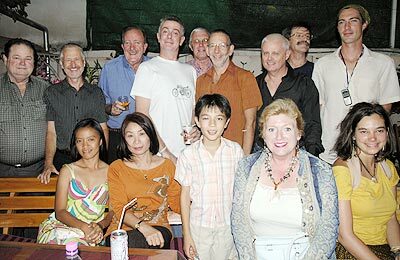 Diana’s Court won, yet again, at The Garden Bar’s monthly quiz. The team consisted of Mohamad, Harry, Mark and Tim. 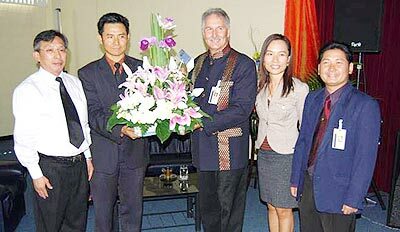 Chiang Mai District Governor Sakchai Chor-palit with Thanakorn Viwatronakit, Ajarn Jonathan Vickers, Hatairat Viwatronakit, and Ajarn Natanan Supapwarrakul at the opening ceremony of the Christian Outreach Centre Foundation. 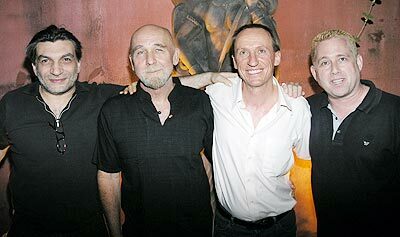 Guy Pace (third left) had the most amazing birthday party recently at The House Restaurant. 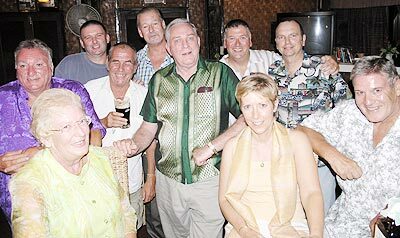 Alex (white T Shirt back row) celebrated his 40th birthday (yet again!!) at The Garden Restaurant. 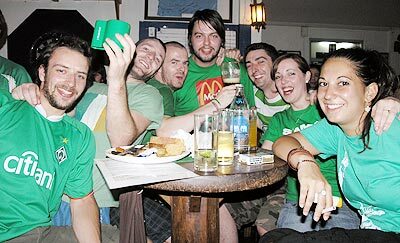 The Micks are out in force at The Pub on St Patrick’s Night. A packed house on St Patrick’s Night, for the Itinerants at the UN Irish Pub. 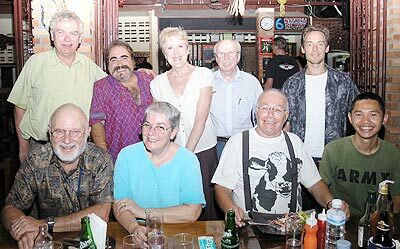 The Expat ‘Dining out group’ celebrated Paul’s return at Tusker’s Bar & Grill. Back row: Bill Scott, Ruth, Peer and Michael (l/r), seated: Bill Fran Paul and Nop (l/r).